Contest: WIN: CLUTCH CHAIRZ CHAIR OR DESK + A COPY OF CALL OF DUTY BLACK OPS 4! WIN: CLUTCH CHAIRZ CHAIR OR DESK + A COPY OF CALL OF DUTY BLACK OPS 4! 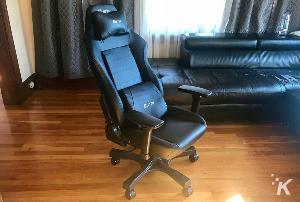 Prize: Your choice of a Clutch Chairz Chair or Desk AND a Copy of Black Ops 4 or $60 Worth of In-Game Currency. Statistics: This contest was opened by 230 and entered by 24 ContestChest.com members. 10% of those who opened the contest, entered it.